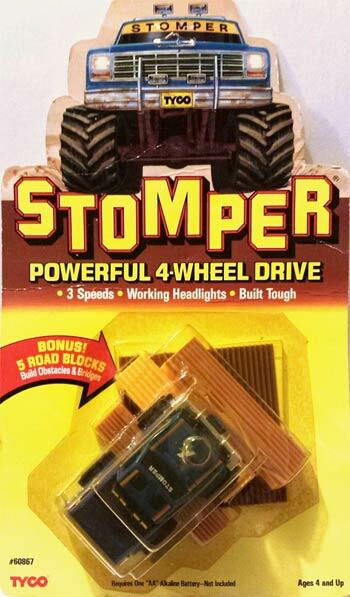 I'm not sure when Tyco's relationship started with Stomper, but according to the 1985 Tyco catalog (see page here), Tyco produced the US-1 STOMPER Electric Trucking "high adventure set" (No. 3211). 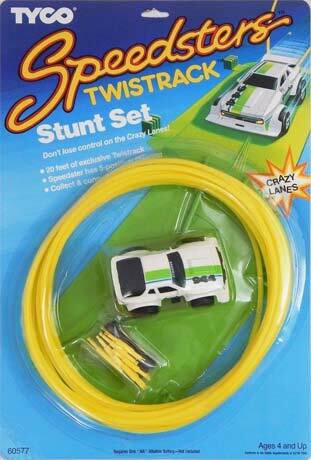 It's your basic electric car racetrack but you get one vehicle that looks like Stomper pickup and one that looks like a Stomper Blazer. 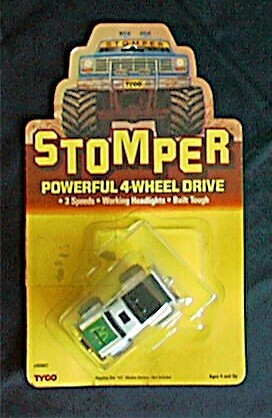 Tyco 'seized' Stompers from Schaper in 1987 (possibly 1986) and sold them for at least three years. From what I can tell, Tyco did not make any major changes to the various stomper lines. It seems like the changes were more cosmetic than anything, basically different paint schemes and "stickers". My limited examples include a Mini for land, 6 Water Demons for land & water, and 2 (of 6) Diving Devils for land, water, & underwater (plus they came with a little guy). 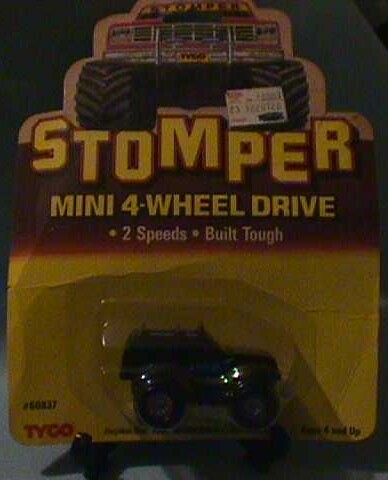 It's also interesting to note that the special McDonald's Stomper that you had to send away for was manufactured by Tyco! Below you find a list of manufactured items for 87 and 88, courtesy of Rex. 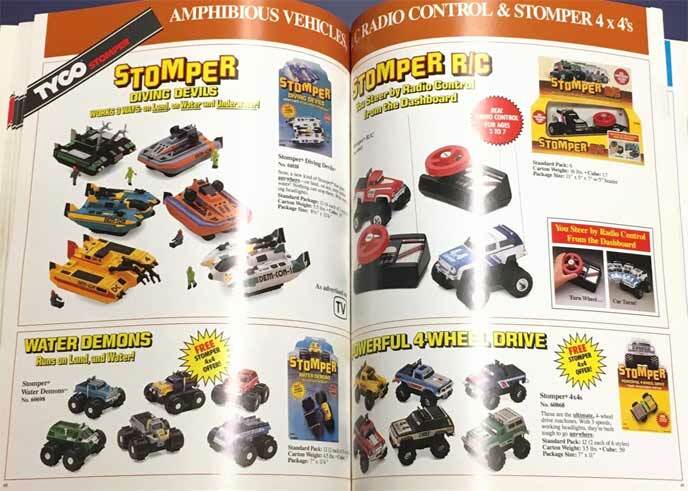 I stumbled on the two stomper pages (seen here) from the 1989 Tyco catalog and can verify that Stomper 4x4s (60868), Stomper R/C (61047), Stomper Diving Devils (61018), and Water Demons (60698) were all still very much a thing. It's a little strange that the part numbers changed from 87 to 88 but not from 88 to 89, but I'm guessing that's a sign that they were giving up on them.